Giovanni Battista Somis played a key role in the history of composing for and playing of the violin. He was the teacher of some composers, who are today counted among the most prominent of their time, such as Jean-Marie Leclair. He himself was a pupil of Arcangelo Corelli, who was equally important and greatly influenced the style of composing of instrumental music of several generations. However, unlike most of Corelli’s pupils, Somis did not take his teacher's compositions as his models. The texture of his own violins sonatas testifies to that. Eight collections of chamber music were published during his life. Around 1717 his first opus - a set of twelve sonatas for violin and basso continuo - was printed in Amsterdam and saw a reprint in 1725. In 1723 a second set of violin sonatas came from the press in Turin; that is the town where he had been born and where he died. Here he also worked as a teacher. The present disc includes sonatas from the two next collections of sonatas for violin: the Op. 3 appeared in Turin in 1725, the Op. 4 in 1726 in Paris. The sonatas all have the same texture. They open with a movement in slow tempo. Next follow two movements in a fast tempo; the second is the longest, and is the core of the sonata. It is not fugal, as Corelli's second movements were. The last movement is rather short and is in a dance tempo, although it doesn't have the title of a dance. This texture is very different from what was written in his time. In fact, a sequence of slow - fast - fast was to become the standard about twenty years later. The opening movements include some daring harmony and modulations. The second movements are technically most demanding; they are usually in two sections. "The composer demonstrates his specific trademark in the characteristic construction of a theme whose genesis we almost seem to witness: a concise musical statement is followed, generally after a pause, by a more discursive continuation either commenting or expanding on it - a procedure which may be repeated several times", Wolfram Schurig states in his liner-notes. Sometimes the last movement is thematically connected to the previous movement, such as the allegro assai from the Sonata in F, op. 4,9. It may surprise that these sonatas are played on the recorder. 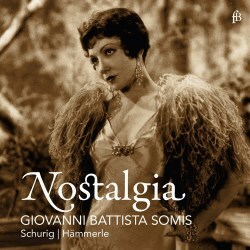 The selection of sonatas is even given an Italian title in the booklet, suggesting that it may be from Somis's pen. However, that is not true: Somis did not write any music for the recorder, although Schurig mentions a Sinfonia a flauto solo e basso which has been preserved in manuscript. In fact, Schurig does what many recorder players do: he extends the repertoire for his instrument by adapting music intended for other instruments, in this case the violin. Not that much adaptation is needed here. Schurig mentions, that the tessitura of the sonatas doesn't require any transposition. In this recording he plays a soprano recorder, three different alto recorders and a voice flute. These sonatas do sound very well on the recorder, but as I don't know any performances on the violin it is impossible to judge whether the recorder does them full justice. The performances by Schurig leave nothing to be desired. He has a very lively style of playing, dynamically as differentiated as the recorder allows and with a good deal of expression in the slow movements. Johannes Hämmerle plays an Italian harpsichord and delivers a firm foundation to Schurig's performances. No cello is needed here. You don't need to be a recorder aficionado to enjoy this disc.